No matter how old you are, you need to take care of your teeth and mouth. When your mouth is healthy, you can eat the foods you need for good nutrition. You will also feel better about smiling, talking, and laughing. Teeth are meant to last a lifetime. By taking good care of your teeth and gums, you can protect them for many years. Teeth are covered in a hard, outer coating called enamel. Every day, a thin film of bacteria builds up on your teeth. Over time, the bacteria can cause holes in the enamel. These holes are called cavities. Brushing and flossing your teeth can protect you from decay, but once a cavity happens, a dentist has to fix it. You can protect your teeth from decay by using fluoride toothpaste. If you have a lot of tooth decay, your dentist or dental hygienist may give you a fluoride treatment during an office visit. Or, the dentist may tell you to use a fluoride gel or mouth rinse at home. Other gum diseases need to be treated by a dentist. If not treated, these infections can ruin the bones, gums, and other tissues that support your teeth. Over time, your teeth may have to be removed. • Brush your teeth twice a day with fluoride toothpaste. • Floss once a day. • Visit your dentist regularly for a checkup and cleaning. • Eat a well-balanced diet. • Quit smoking. Smoking increases your risk for gum disease. • Gently brush your teeth on all sides with a soft-bristle brush and fluoride toothpaste. 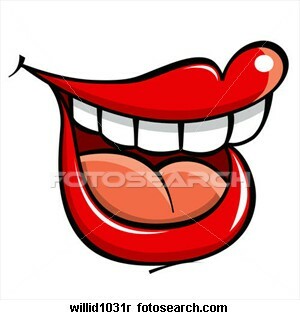 • Lightly brush your tongue to help keep your mouth clean. See your dentist if brushing or flossing causes your gums to bleed or hurts your mouth. If you have trouble flossing, a floss holder may help. Ask your dentist to show you the right way to floss. • Slide a bicycle grip or foam tube over the handle of the toothbrush. • Buy a toothbrush with a larger handle. • Attach the toothbrush handle to your hand with a wide elastic band. Sometimes, dentures (false teeth) are needed to replace badly damaged teeth. Dentures may feel strange at first. In the beginning, your dentist may want to see you often to make sure the dentures fit. Over time, your mouth will change and your dentures may need to be adjusted or replaced. Be sure to let your dentist handle these adjustments. • Start with soft, non-sticky food. • Cut your food into small pieces. • Chew slowly using both sides of your mouth. Be careful when wearing dentures because they may make it harder for you to feel hot foods and liquids. Also, you may not notice things like bones in your mouth. Keep your dentures clean and free from food that can cause stains, bad breath, or swollen gums. Brush them every day with a denture care product. Take your dentures out of your mouth at night and put them in water or a denture cleansing liquid. Partial dentures are used to fill in one or more missing teeth. Take care of them in the same way as dentures. Dry mouth happens when you don’t have enough saliva, or spit, to keep your mouth wet. That can make it hard to eat, swallow, taste, and even speak. Dry mouth can cause tooth decay and other infections of the mouth. Many common medicines can cause dry mouth. Try sipping water or sugarless drinks. Stay away from drinks with caffeine. Don’t smoke and avoid alcohol. Some people are helped by sucking sugarless hard candy or chewing sugarless gum. Talk to your dentist or doctor for other ideas on how to cope with dry mouth.